A Small Wilderness Lodge, built as a farmhouse/boarding house in 1864 at Chesuncook Village, to supply logging operations in Northern Maine's Wilderness, now on the Federal Historical Register. 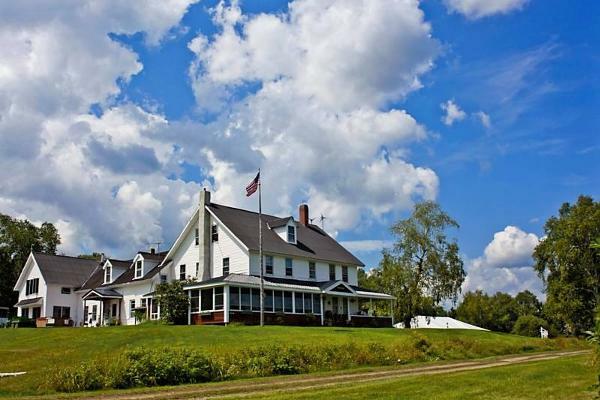 The Lake House is located 50 miles north of the Moosehead Lake Region, and 60 miles west if Millinocket, situated in the center of the last recognized wilderness area in the East. Please stop in, we are now accessible by vehicle! And as always, boat, float plane, and snowmobiles. 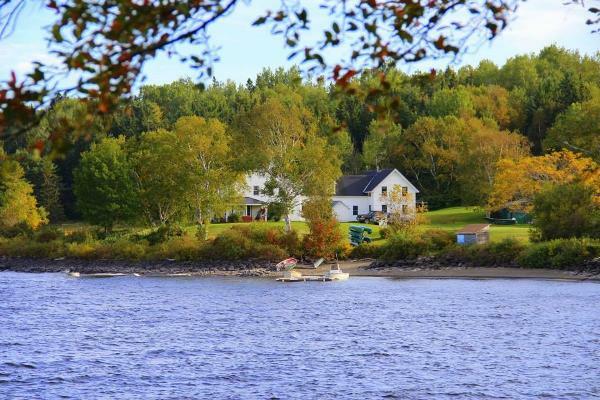 With it's well tended lawns, stretching to the shore of Chesuncook Lake, overlooking Mt. 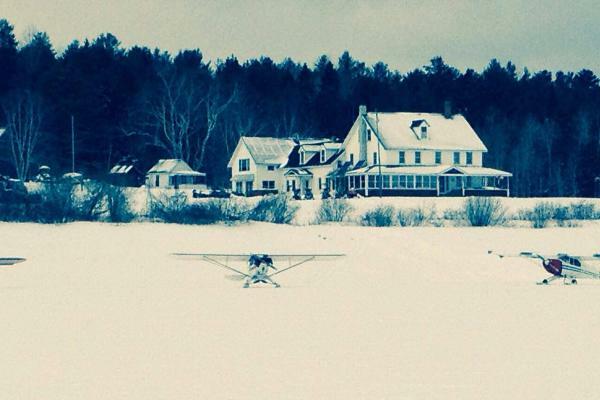 Katahdin, the Lake House is a warm and welcoming site to our guests and visitors. The Lake House can accommodate 8-10 guests comfortably with 4 large sunny rooms overlooking the lake. We offer 2 modern baths with showers, electricity by generator, and gas lamps on the main floor for evening lighting. Lake House accommodations are ALL INCLUSIVE ONLY! Our All Inclusive guests enjoy three very hearty and completely homemade meals in our tinned ceiling dining room, all served family style. We bake fresh breads, muffins, and pastries daily, and use only the freshest ingredients. 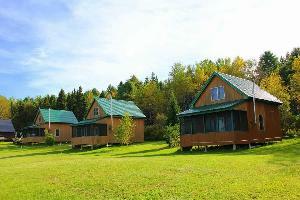 Our three cabins are located to the northwest of the Lake House and overlook Chesuncook Lake. They are equipped with a full kitchen (gas stove/oven unit and refrigerator) and bath,(shower, flush toilet May-Nov.) and have a propane heater as well as a wood stove. All cooking utensils and dishes are provided. Upstairs there are two bedrooms with an assortment of beds. The downstairs living area also has a queen size futon. We provide linens and towels. 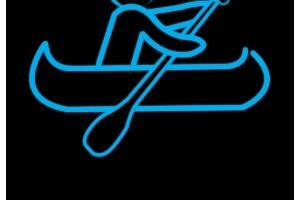 Cabins are your choice of Housekeeping, you cook, or the All Inclusive plan, we cook, served in the lodge. Housekeeping Cabins located in Chesuncook Village. West Branch and Pine Stream Cabins sleep 6 Caucomgomoc Cabin sleeps 8. Dogs are allowed in the cabins @ $10 a day per dog. 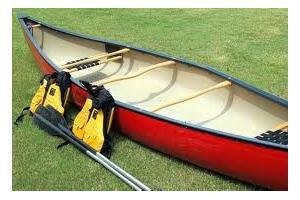 We bring your vehicle from Lobster Lake to the bottom of Chesuncook Lake at the ranger station/boat landing. 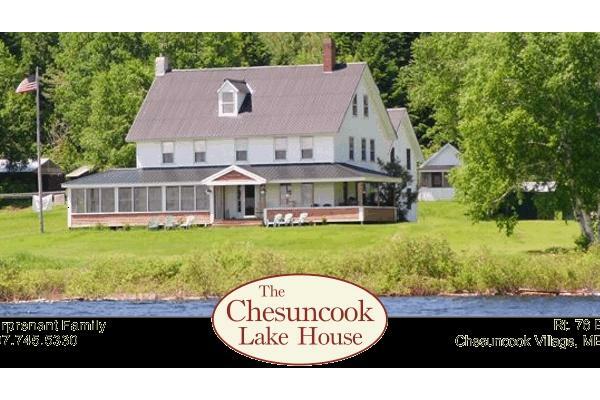 You leave your vehicle at Lobster Lake and we shuttle it to back to our secure parking area at Chesuncook Lake House. You leave your vehicle at Roll Dam and we shuttle it to back to our secure parking area at Chesuncook Lake House. When you arrive in Chesuncook Village, your vehicle is here waiting for you, anytime you get here.